Last week’s Congressional hearing on the future of US sports betting was filled with misinformation, according to the Poker Alliance, a political organization formerly known as the PPA and now operating under new management. Poker Alliance President Mark Brennan says the organization attended the Thursday hearing titled, “Post-PASPA: An Examination of Sports Betting in America.” Representatives from the NFL, American Gaming Association, and Nevada Gaming Control Board were among the witnesses to testify. Also speaking was an attorney for the Coalition to Stop Internet Gambling, a Sheldon Adelson-backed group that Brennan said was ignoring facts and creating “their own fiction” when it comes to internet gambling. The Poker Alliance submitted a six-page written statement to the House Subcommittee on Crime, Terrorism, Homeland Security, and Investigations in support of legal sports betting, and in an effort to set the record straight. “Poker Alliance is confident that a well-regulated sports betting will provide consumers with much needed protections, undermine the illegal marketplace and create revenue for state governments,” the statement read. The formerly poker-only organization isn’t just blowing smoke without evidence. In the statement, the alliance used statistics to prove its point. Brennan’s group supports state-regulated sports betting and doesn’t want the federal government to interfere. 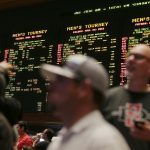 Nearly 80 percent of all illegal sports betting is done over the internet, according to the PA’s claims. That, the group suggests, is reason for state regulation, not for placing federal restrictions on intrastate sports wagering. 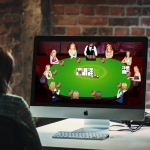 Many argue that legal gambling sites minimize the influence of black market forces. n an effort to insert itself into the latest online gambling conversations, the Poker Alliance went to bat last week for sports bettors. 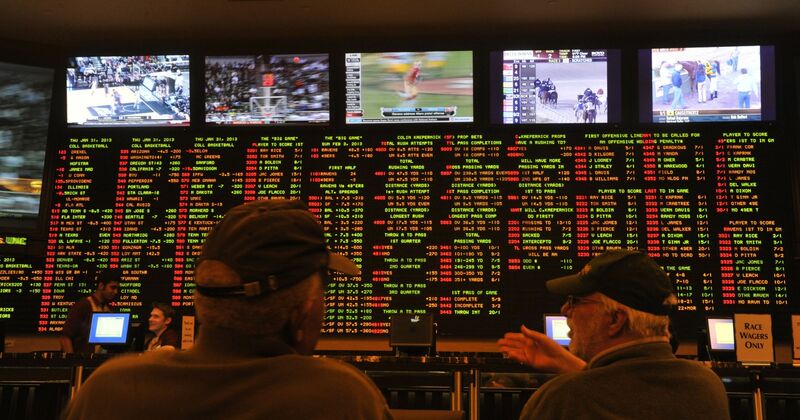 The statement condemns those who favor federal restrictions on sports gambling. And applauds the SCOTUS for overturning the federal ban on sports betting. In an email to supporters, Brennan expressed disdain for the direction taken during the congressional hearing. What was supposed to be a discussion about the future of sports betting legislation turned into, at times, an anti-internet gambling rally. Brennan says the Poker Alliance is “working to correct their misstatements,” although he doesn’t mention which specific statements are false. 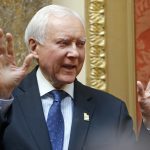 Although sports betting was the main focus of the hearing, online poker was also discussed, briefly, and not in a good way if you’re a poker player. 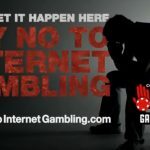 Former Nebraska Attorney General Jon Bruning, now a lawyer for Sheldon Adelson’s Sands Corp. and representing the Coalition to Stop Internet Gambling, told the committee that online poker should be banned. He compares internet poker to marijuana, both “unconstitutional,” he claims. Bruning calls for federal regulation of online gambling, fearing that individual states being in control of the issue will create problems. “Since marijuana was legalized in Colorado, Nebraska law enforcement has been overwhelmed with the amount of illegal marijuana flooding into the state,” he told the committee. Bruning claims the same will happen if his state legalizes sports betting. And he encourages the federal government to take this into consideration. The Poker Alliance disagrees with his comments. They argue states regulating gambling helps eliminate the black market. Doesn’t money still talk in the USA? If professional poker players that could spare 0.05% of their bankroll would hire a lobbyist, this would all be over. But I guess professional poker players don’t give any money they don’t have to unless there is a payday. I guess they don’t see the obvious payday. If they can legalize Marijuana, surely as Americans we can join the rest of the world and play some poker. I promise not to play poker and drive, honestly!